Empty Lamps started with the intrigue of the carbon filament bulbs. This idea grew into needing a base to hold the bulb, and then further into a whole selection of timber bases to support the idea and let the full package glow. I love working in with people to create a perfect piece for your home or office. Custom pieces are a very rewarding adventure. If you have an idea or a design in mind, feel free to send me a message and we can try and create something special for you. 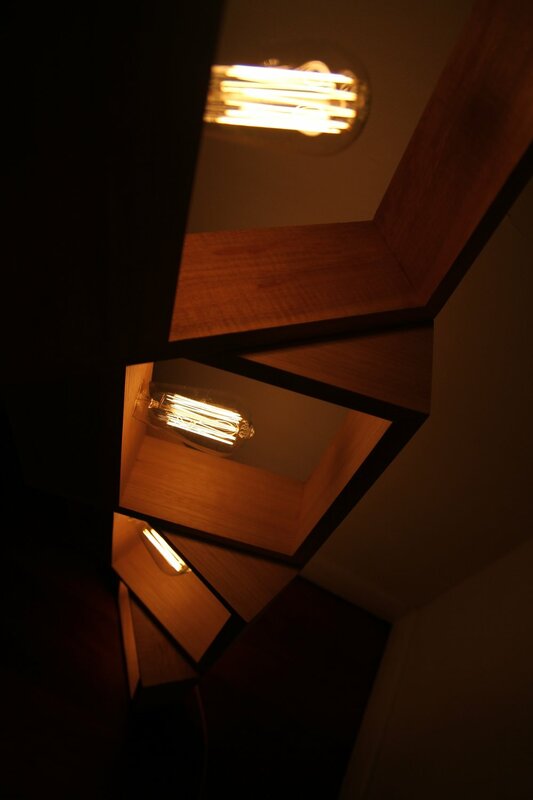 Empty Lamps primarily uses Tasmanian Oak as well as various recycled timbers. If you have a specific timber in mind we will try to arrange this but there are no guarantees. Murray Thorpe is the designer and manufacturer behind Empty Lamps. A licenced electrician with a love for timber. All lights are in accordance with Australian & New Zealand Standards and use quality certified products. PLEASE NOTE: Timber is a natural living product. This means no two pieces are the same and colours can vary.